To the left you can see Michael Hansson from Kvalitek, to the right Henrik Seemann, Facility Manager at PostNord. When it comes to energy optimization the majority of companies have already picked the lowest hanging fruits. There are still plenty of fruits to harvest, but to do so you need to be able to reach that next branch. 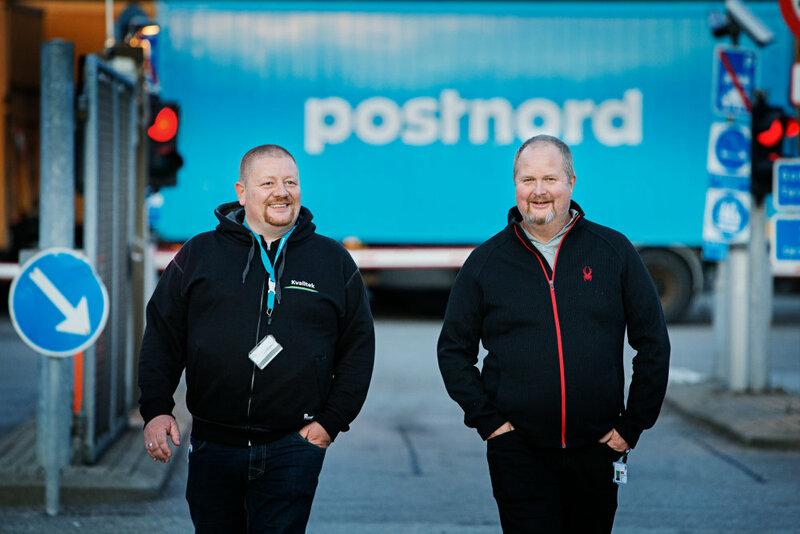 PostNord, which is the largest logistics company in Sweden and Denmark, is continuously working to optimize its energy consumption in order to bring down CO2 emissions. The company has just completed another project and, in doing so, it showcases the massive global change from conventional lighting to LED lighting. As part of an ambitious environmental strategy to reduce CO2 emissions by 40 percent before 2020 (compared to 2009), PostNord has just completed a large energy renovation project in a packing central in the town of Broendby in Copenhagen. Here offices, warehouses, and outdoor areas have been upgraded, which not only improved lighting but also reduced the total energy costs and had a positive effect on environmental goals. Last, but not least, the employees are a lot more satisfied and happy. 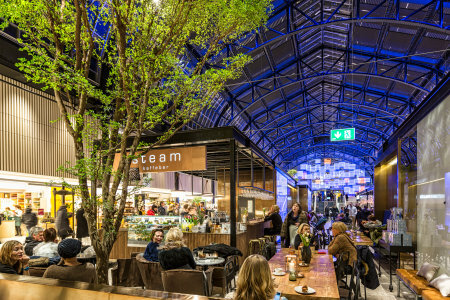 Just like many other companies, PostNord has already picked the lowest hanging fruits in energy optimization and has now turned to the advancements in lighting. Over the past years, the lighting sector has seen a rapid transition from traditional technologies like halogen toward LED solutions. LEDs are not only more energy efficient and longer lasting, the unit price has also fallen drastically, which means that more companies can reap the huge savings by changing to LED products of high quality. One of the biggest growth areas within the lighting sector is the market for standardized LED luminaires with tightly integrated, non-exchangeable LED light sources. In the report, “How To Win In A Transforming Lighting Industry,” published in 2015, Boston Consulting Group (BCG) identifies one simple reason for the ongoing trend from conventional luminaires to integrated LED luminaires: as the LED lifespan has increased to more than 15 years on average, most luminaires in a building will be replaced as a whole due to renovations or redesigns before their LEDs burn out. In many application areas, it therefore makes much more sense to have fixed LED light sources in the luminaires rather than exchangeable ones. That’s why BCG concludes that integrated LED luminaires will continue to gain market share. In 2015, LED luminaires amounted to 15 percent of the total lighting market, which has tripled from five percent in 2010. According to BCG, the market share will continue to rise and will reach 45 percent in 2020. Packing area at PostNord in Broendby, Denmark after the installation of Ledvance’s LED luminaries. PostNord works very structured when analyzing energy consumption and optimization. For example, Postnord has mounted bio-meters on all locations, and as a result the company is able to clearly pinpoint the economic savings. While PostNord previously had the advisors and project managers in-house, Postnord has now outsourced the advisory and project management role to the company Kvalitek. “The task of counseling, advising, guiding and managing our energy renovation projects is a daunting task and you have to take a lot of things into account. That’s why we have been happy to leave the assignment with Kvalitek, which is a partner with very high credibility and great technical knowledge,” said Facility Manager, Henrik Seemann, who is responsible for all of PostNord’s buildings in Denmark. Kvalitek has undertaken the massive assignment of completely changing all conventional lighting to the energy-efficient LED luminaires in PostNord’s packing central in Broendby - an assignment that included warehouses, production areas, offices, toilets, a cafeteria, a kitchen, and outdoor areas. Administration building at PostNord in Broendby, Denmark after the installation of Ledvance’s LED luminaries. The luminaires double the LUX level with reduced power consumption. That results in much more lighting for the same price. Furthermore, the employees in the warehouse are very enthusiastic about the new and improved lighting. Of course the light means a great deal for the mind when you work at night and can positively influence productivity. At the same time LED luminaires omits much less heat than the old lights. In fact, PostNord has been able to turn off the coolers, which in itself has given notable savings on the total energy account.